Another month, time for another limited edition Lush collection and this is one of the best yet! Look, I say that about them all, but this one is seriously amazing. I was amazing by how good the box smelled as I opened it this time around, it was one of the best smells I've come across in a while. 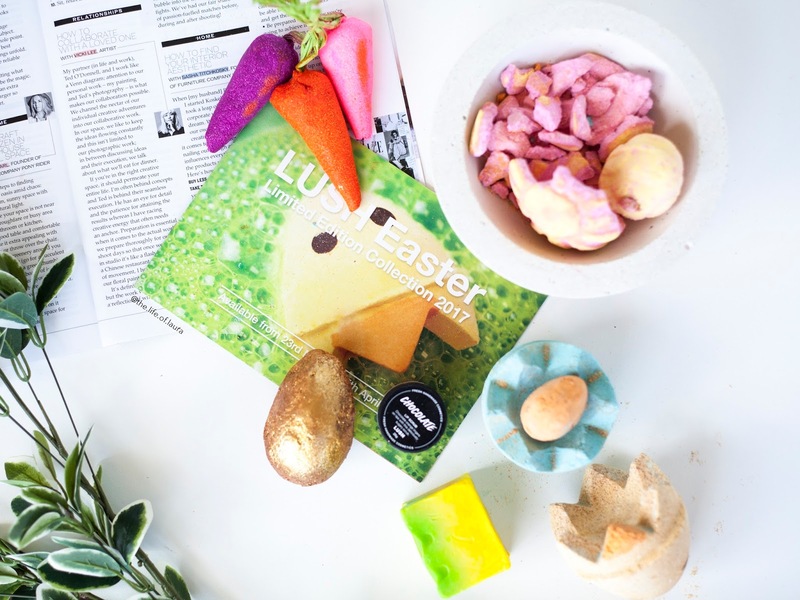 Well lucky news, the Easter Collection is out today and I thought I'd share you a sneak peak of some of the collection I have been trying out lately to help you decide what you might pick up. Mine came a little worse for wear, so there was no exciting discovery for me (yet) but it smells delightful. I'm going to have to pick up another one to get the full experience of the discovery! 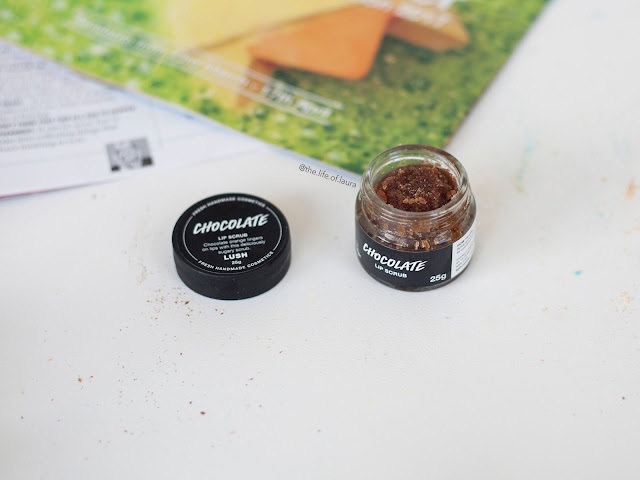 Yes, you heard correctly, a CHOCOLATE lip scrub. And yes, it smells amazing (doesn't taste as good, but smells yummy). I tried it yesterday to test it out and thought to myself 'oo this tastes like one of those chocolate orange slices...' and funnily enough, as I read the ingredients and press release it combines Cocoa with Tangerine and Sweet Orange Oil. As all of their scrubs, they are amazing and will leave your lips feeling soft and amazing! This is a must have!!! Three brightly coloured carrots to add to your five-a-day. Using more citrusy scents: Sicilian lemon, bergamot and buchu oils. They smell so refreshing and I am already in love with the smell. Plus, the best thing is that they are reusable - hold them under running water, then place them in a dry place to reuse on your next bath. You can get so many baths out of these! This is such a cute bath bomb! I reckon you could ALMOST get three baths out of it (two from the shells, and maybe one for the chicken on the inside). 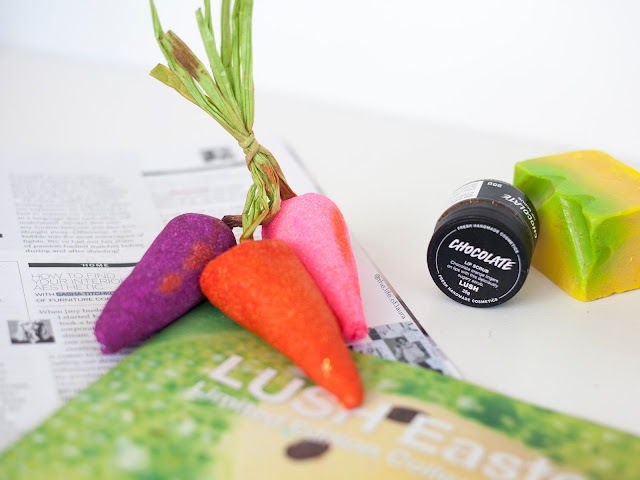 It is sweet and zingy with tonka absolute and refreshing bergamot oil to add a little spring to your step! At $11.95 this is serious value for money, I think I'll pick up a few more to try out! More chocolate!!! Well, it's not Easter without chocolate is it! Like all the other products in this range it combines that sweet chocolate scent with the zestyness of citrus. Rich, creamy chocolate entwines with comforting, sweet vanilla and zesty citrus oils to create a feast of cleansing, conditioning suds. 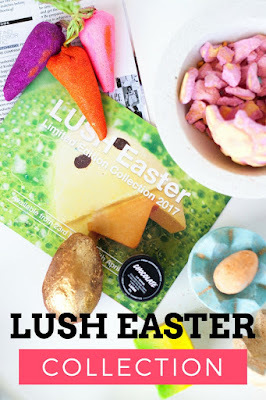 I love Lush's soaps, they are so creamy and just a joy to use. I love how fresh this chocolate soap is. I'd never have thought to use citrus and chocolate together. I saved the best for last. 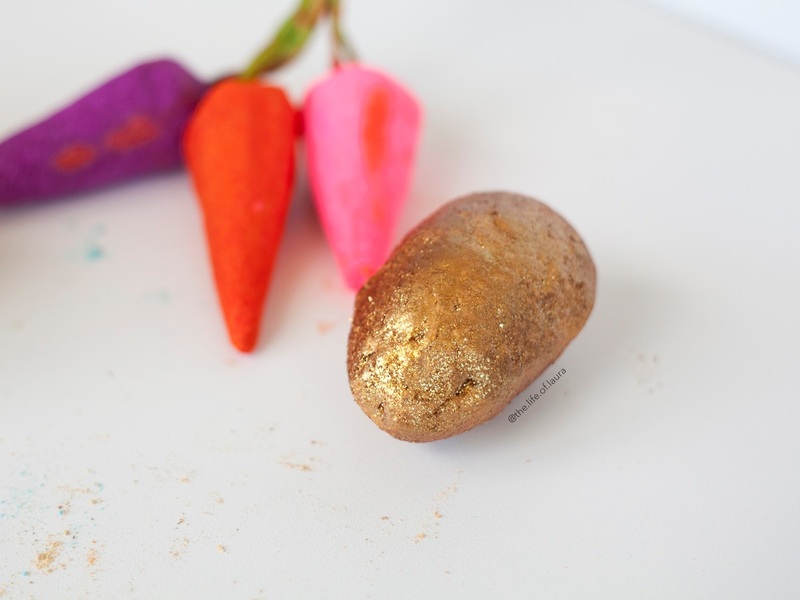 Of course, the absolute hero of the Easter release is the Golden Egg, covered in gold glitter! AMAZING! Keeping on the citrus scent with sweet wild orange and cocoa butter. It sounds messy, but fun and SOOO hydrating. I cannot wait to get in a bath with this one!! There are a few other goodies come out in this collection, so I am excited to try and pick those up this week as well. 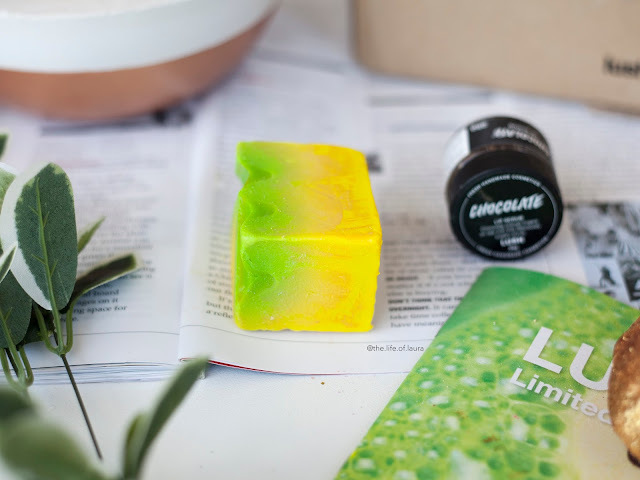 But I really am loving the citrus theme through all these products, probably because I am loving how refreshing citrus is at the moment (plus it kind of reminds me of spring and I'm trying not to think about winter...). That chocolate lip scrub sounds amazing and that chick n mix bomb looks so cool! Yasss! I'm actually going in to LUSH tonight to check out their Easter range. 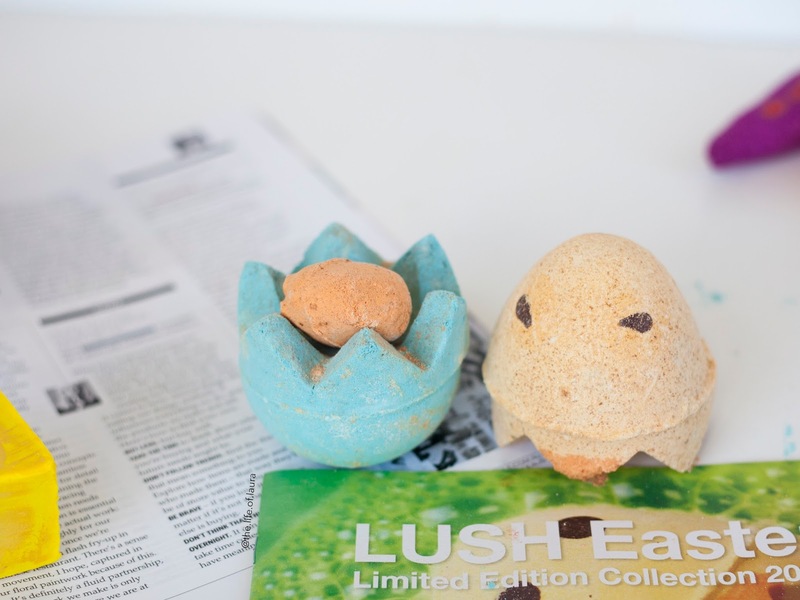 I'm dying to get my hands on that adorable Chick n Mix bath bomb, and on the Golden Egg! Everything from the collection is so damn cute, though. 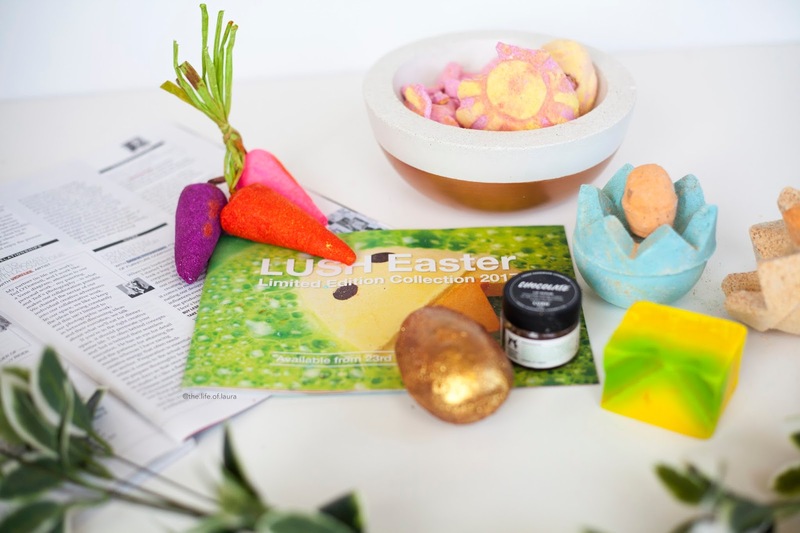 The reusable Bubble Bar carrots are genius! I love the look of everything in this collection! I love the look of the Chick N' Mix Bath Bomb! So freaking cute! The chocolate lip scrub looks amazing! I also want to try that bunch of carrots. The easter collection looks so cute! So cute that I wouldn't want to use them!